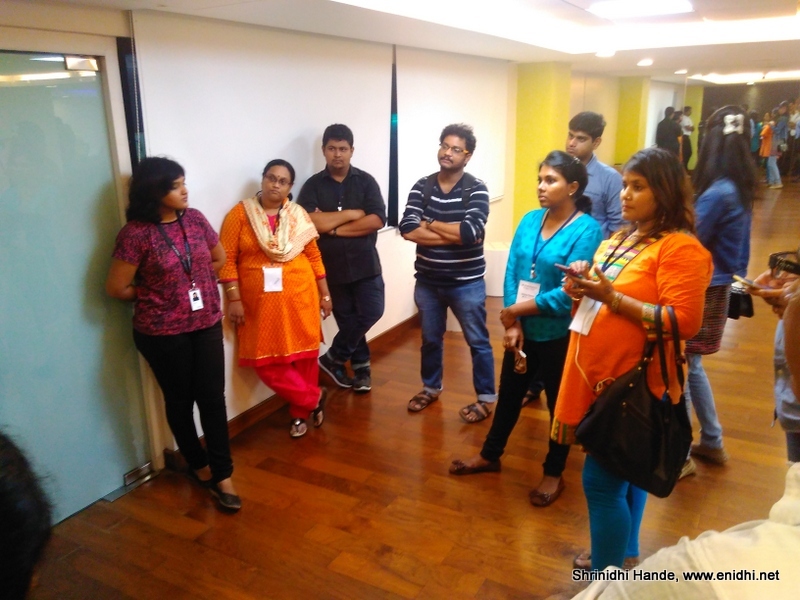 Last Friday, Ramco Systems, a Chennai based ERP solutions and IT products company invited a bunch of bloggers to be part of a meet intended to explain how it is to work at Ramco Systems. I did sign up, but I could go there only after my regular office hours, which meant I was late by about an hour and missed first part of the activities. This is my second visit to Ramco after the 2014 meet on wearable ERP solutions. Though I was late to the event, Ramco team was kind enough to give a quick walkthrough of areas that I missed earlier. In this post, I am sharing few of my observations. You may also read posts by Satish, Rajesh or Sarath in their respective blogs, as they have attended 100% of the event and have more photos and details to share. Discounted Laundry Service: Subsidized for 50% off, employees can bring their dirty laundry and get them cleaned and pressed while they return. This saves some time otherwise had to spent at home cleaning. 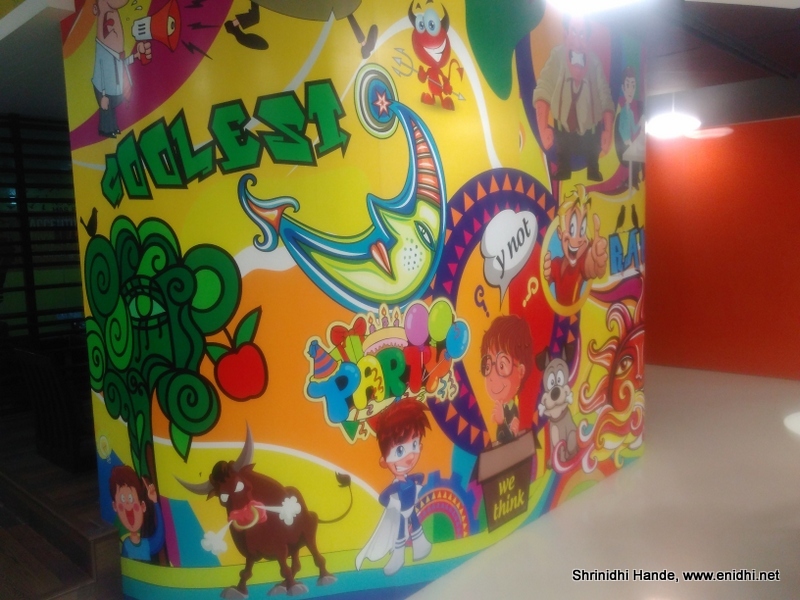 Vibrant interiors: Most of the rooms had colourful walls and interiors, inducing energy and optimism, compared to plain walls we find in most offices. Exercise: In house gym with instructor helps employees get enough physical action. When I went in bloggers were being given a quick dancing lessons. 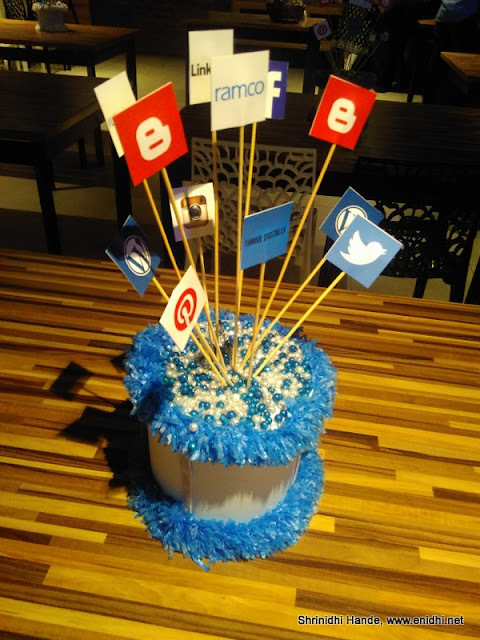 Besides experiencing #LifeAtRamco, event also helped us connect with other city bloggers. We had dinner at their cafetaria and said goodbye, with a wishlist of things everyone now wanted in their respective offices. 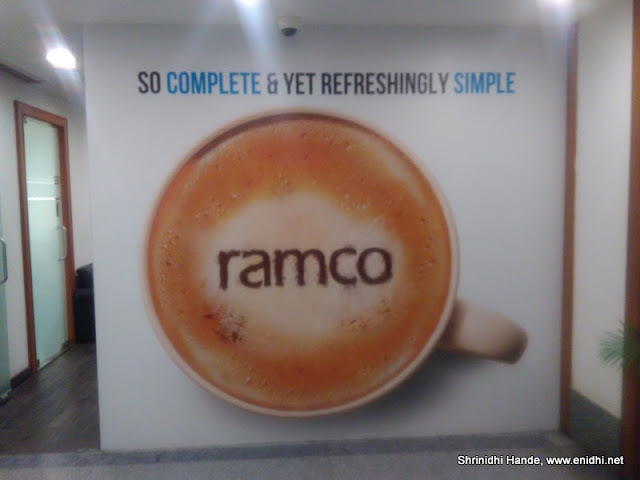 If all these excite you, you might want to check RAMCO's website for possible opportunities. The first Indian company to come out with an ERP.